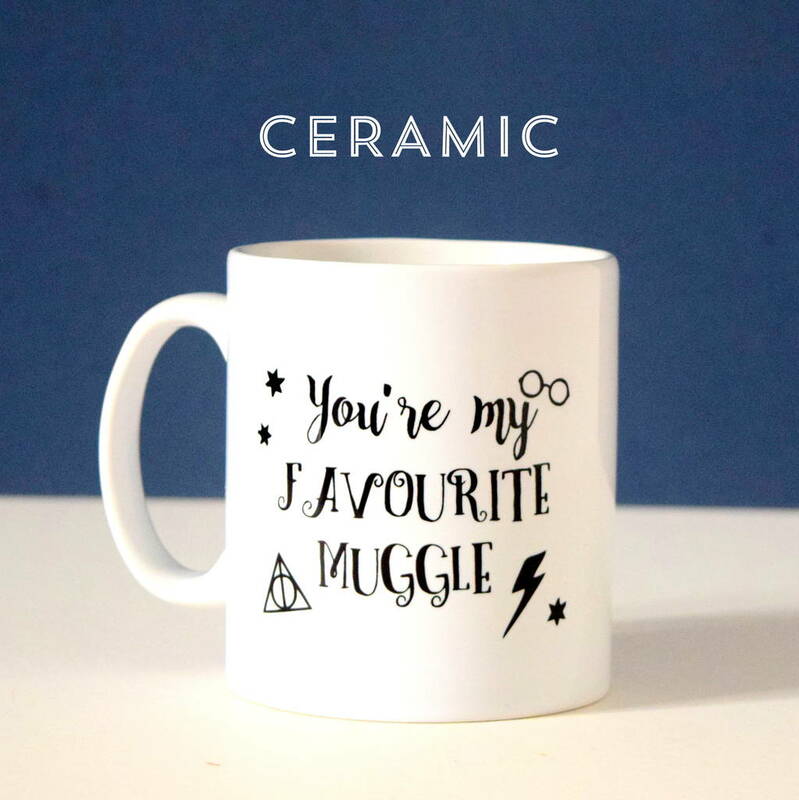 This ceramic mug is the perfect Valentine's day gift for the one person you want to snuggle with and get cosy this winter - they can fill the mug up with their favourite hot drink and use it to keep them warm and cosy. 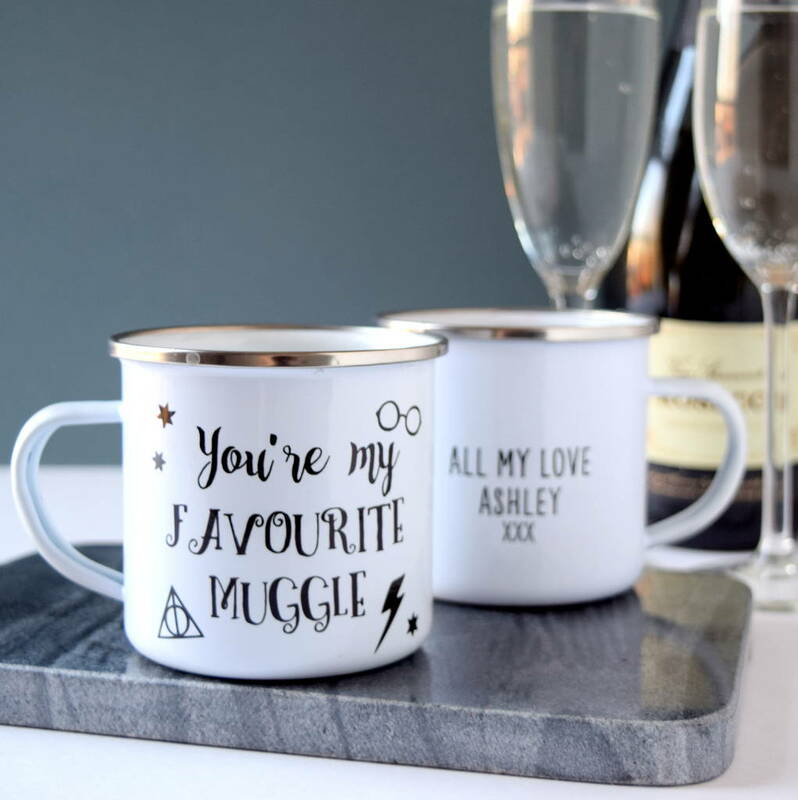 The mug is printed with "you're my favourite muggle" making it the perfect gift for a Harry Potter lover to give to their partner, or for a harry potter fan to recieve as a valentine's day gift, birthday gift, anniversary gift or Christmas gift. Optional message on reverse of mug can be added.